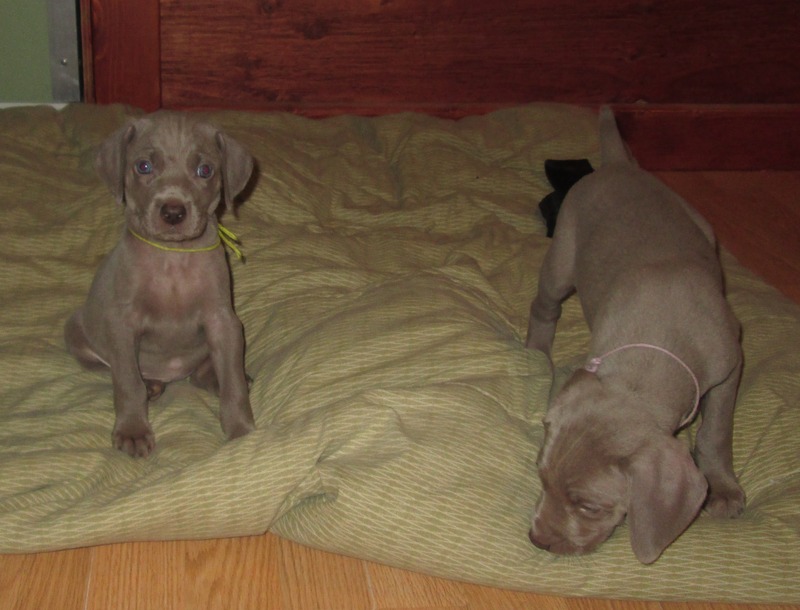 Heide's Green Collared female is the smallest in the litter but has a muscular structure and a really pretty face. She is sweet and easy to like. 5.5 weeks old Green Female on left.